I am not sure what it is about putting it out there on the internet that I am attempting to get healthy and lose weight, but it always makes me nervous. Maybe it’s because I have posted before about my attempts to “get fit” and the whole “new year, new you” and yet here I am….still with well over 100 lbs to lose. It’s embarrassing I suppose and not something I like to admit, but if I want to be serious about it I have to be held accountable. I do feel that this time around, I am being smarter about knowing my weaknesses and trying to take it one day at a time. I have learned over the years that planning ahead is key and keeping some fitness essentials on me at all times will help me tremendously with my success. These aren’t quick fixes, or anything really all that special, but in the last several weeks they have proved to be more than essentials and things I need daily to keep me on track so I thought I would share. 1) WATER INTAKE – I have learned over the years the importance of drinking lots and lots of water. It helps my skin, it helps my overall health and it helps fill me up when I think I am really hungry. 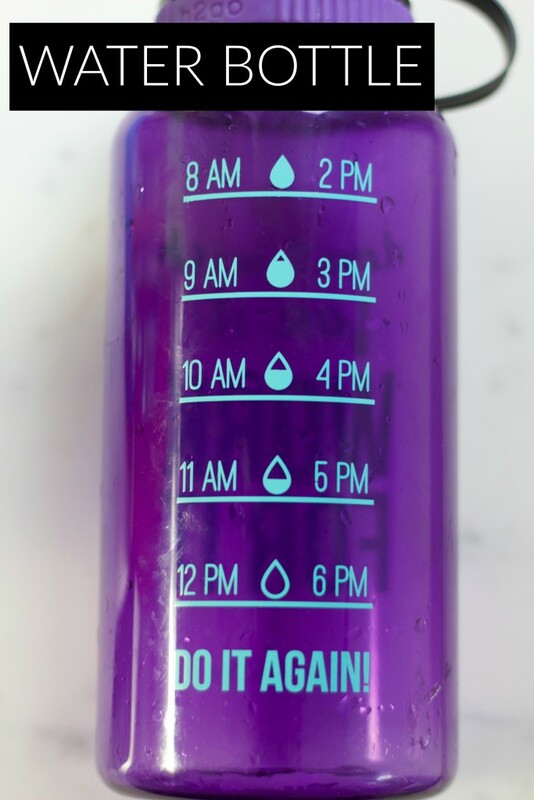 I was horrible at drinking the correct amount of water so when I saw this Blogilates water bottle I snatched it right up. It is like Water Bottle for Dummies and I love it. It makes it so much easier and doesn’t make it seem like a chore or pain. I have no problem getting my daily water intake and I have this on me at all times. 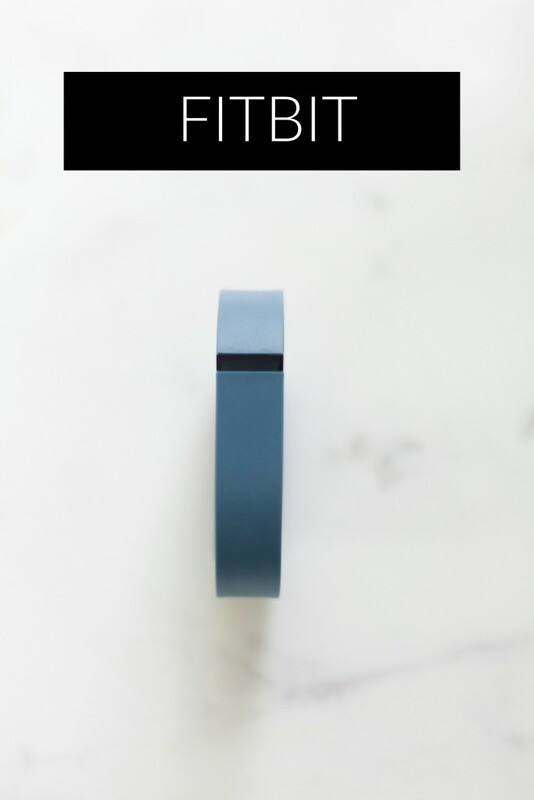 2) FITBIT – I got a fitbit for Christmas after a year or so of being on the fence. It was my friend Jess’s blog post that made me decide to go for it and so far I am loving it. I don’t wear it to bed so I don’t know how I am sleeping but I like seeing my steps for the day and if I feel like I need to step up my game (pun intended) then I just get off the couch and get moving. 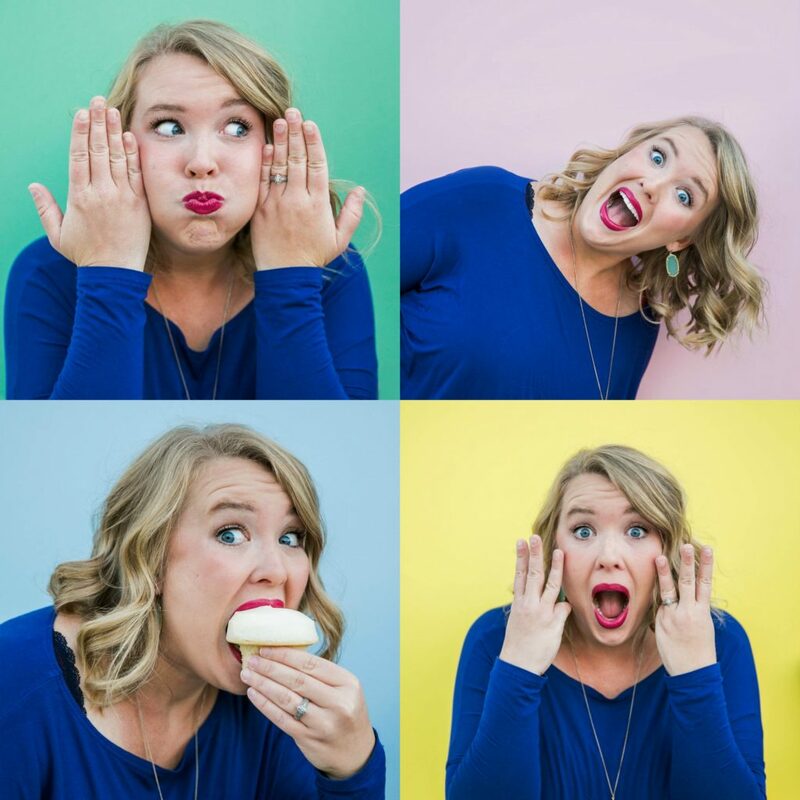 I love the community aspect and the challenges with friends…it was what sold me in Jess’s post. 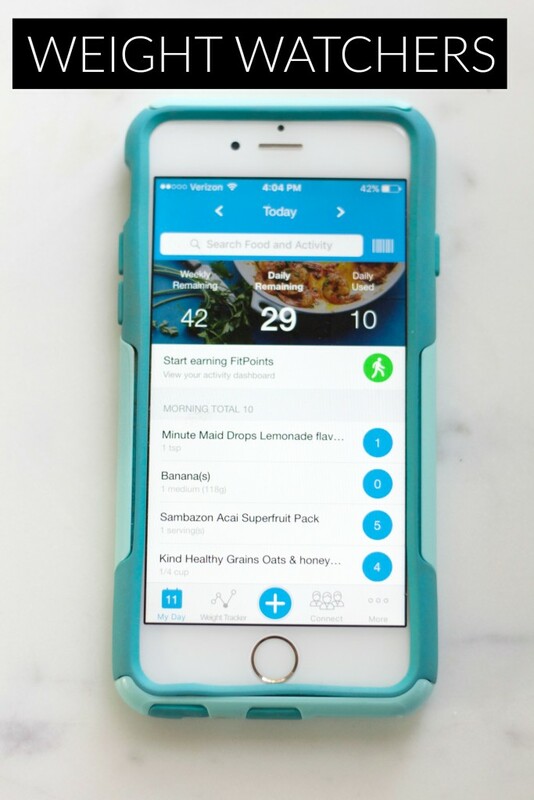 3) WEIGHT WATCHERS – So surprise, Channing and I joined Weight Watchers. I don’t think we have shared that. Our friend who shall remain nameless inspired us after seeing all of her success and so we decided the accountability and doing it together would really help us and it has. We go to the meetings and while we are the youngest ones in there by a good 20 years, we really love them. Well, the whole one we have been too. We are already starting to see small victories though and we are excited to continue our WW journey. If you have any low point recipes you must send them our way. 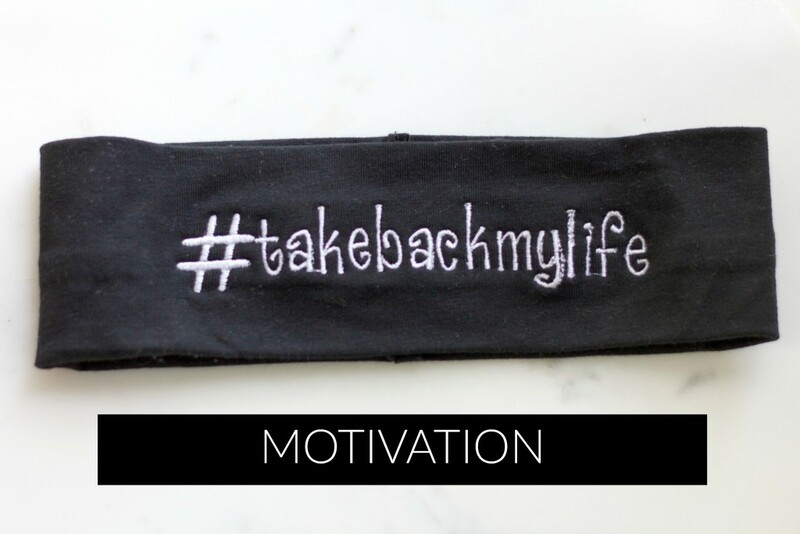 4) MOTIVATION – Just like the accountability, keeping my motivation high is key for me. I like wearing this headband from Mommy Knows Bows to remind me why I am busting my tail. I have printed out motivational words and quotes and placed them around the house and even some current pictures of myself as well as the dress I want to wear to PA graduation this August on my pantry and fridge. 5) ONLINE WORKOUTS- Since the gym is a) hard to get to and b) not in our budget I have been making sure to get in my exercise at home. It has been cold and rainy a lot lately so working out indoors from the privacy of my own home has been huge for me. I have been loving Booya Fitness. 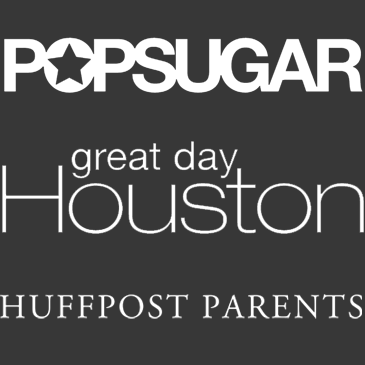 It’s like Netflix for workouts and you pay a monthly fee and have access to hundreds of workouts and nutrition plans. 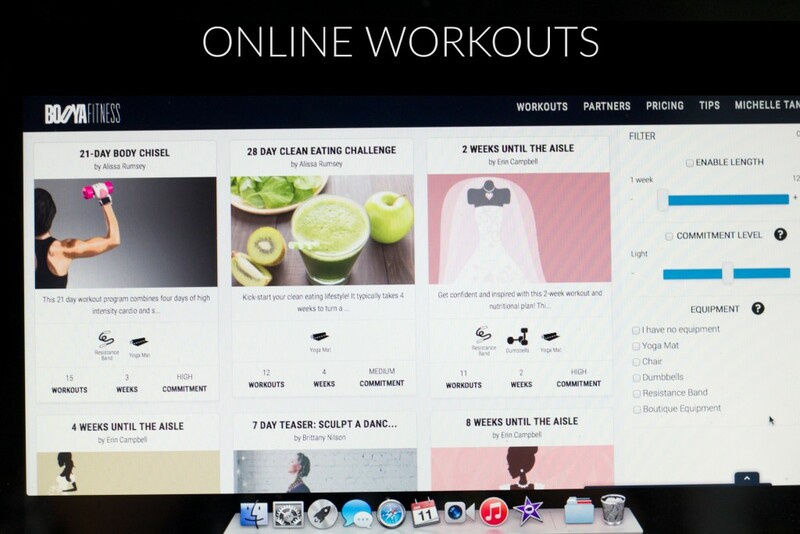 You can search all the workouts or take a quick quiz to determine which ones are best suited for you. I love the variety and the fact that it is so easy to use. 6) SPOTIFY – Everyone knows the key to successful workout is your playlist. No? Just me? I am like Barney Stinson and this mama needs a get psyched mix to get my booty moving. 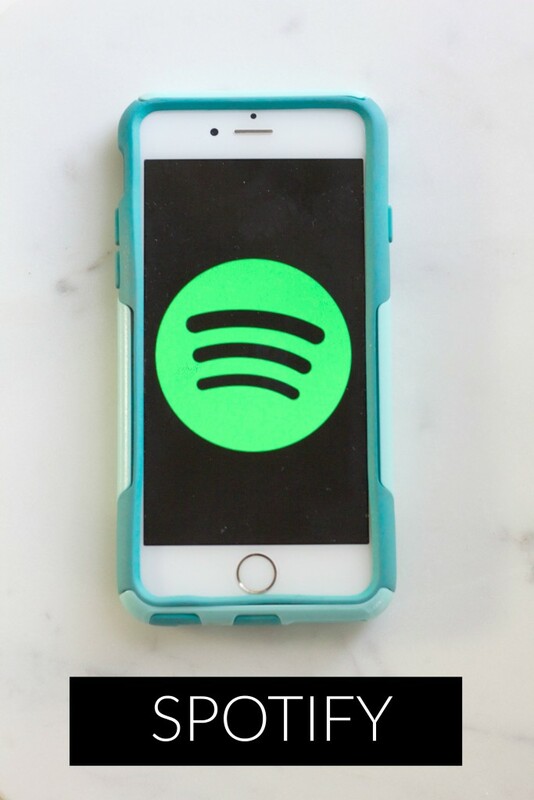 I love Spotify for creating playlists or following others. I switch things up depending on my mood and my workout. I keep it low key for Yoga and of course it’s almost all Kanye and Queen B for my cardio. Who runs the world? GIRLS! So there you have it, my fitness essentials as of late. Like I said they are nothing fancy, but they have been helping to keep me both accountable and motivated and so I keep them close by at all times. Next on the fitness agenda is getting some good running shoes and attempting some interval training. I used to run all the time and I think it would be good for me to start again. Maybe set my sights on the Disney Princess Half Marathon in a few years? 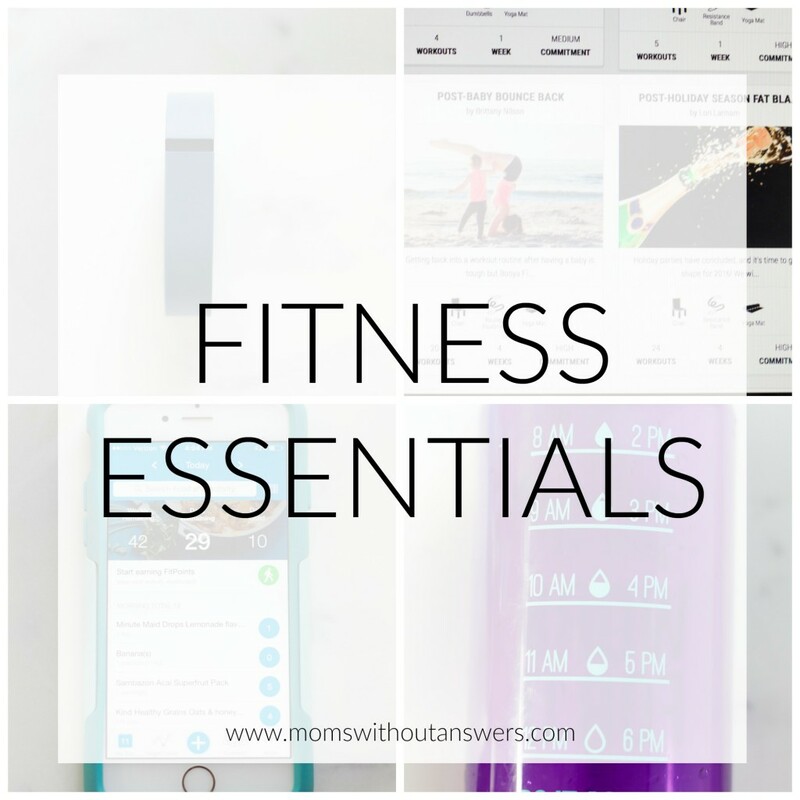 What are your fitness essentials and what do you do to stay on track?